Updates are highlighted in bold and underlined. Wood County (8029-16): Through October, overnight from 7pm until 6am, single lane restrictions are possible on I-475, between the I-75/475 interchange and Fort Meigs Road, for diverging diamond interchange work. Through Monday, October 9, the ramp from northbound I-475 to SR 25 (Exit 2), will be closed for ramp construction. Detour: northbound I-475; westbound US 24 (Exit 4B); southbound I-475; SR 25 (Exit 2). Effective Sunday, October 22, from 6am until 6pm, SR 25 over I-475, will be closed for paving. All ramps will remain open. Northbound detour: southbound I-475; northbound I-75; US 20 (Exit 193); southbound I-75; northbound I-475; SR 25 (Exit 2). Southbound detour: northbound I-475; US 24 (Exit 4B); southbound I-475; SR 25 (Exit 2). Through October, SR 25, between Eckel Junction Road and Jefferson Street, will be reduced to one lane in each direction for diverging diamond interchange work. Project complete: October. All work is weather permitting. Lucas County (485-14, 536-14): Through October 2018, overnight, 7pm through 6am, single lane restrictions are possible on I-75, from I-475 in Toledo to I-280 for widening and bridge work. Through October, short term intermittent lane restrictions are possible on I-75, between I-280 and the Ohio/Michigan State line, for overhead sign work. · Effective Monday, October 16, through mid-November, the ramp from northbound I-75 to Jeep Parkway (Exit 205), will be closed for pavement work. Detour: northbound I-75; Detroit Avenue (Exit 203B); Central Avenue; Jeep Parkway. · Through July 2018, the ramp from Phillips Avenue to southbound I-75 is closed. Detour: northbound I-75; Stickney Avenue (Exit 207); North Expressway Drive; southbound I-75. · Through July 2018, the ramp from Jeep/Willys Parkway to southbound I-75 is closed. Detour: Detroit Avenue. · Through July 2018, the ramp from Jeep/Willys Parkway to northbound I-75 is closed. Detour: Berdan Avenue; Detroit Avenue; Phillips Avenue. · Through July 2018, the ramp from southbound I-75 to Jeep/Willys Parkway (Exit 205A) is closed. Detour: Detroit Avenue (Exit 203B). 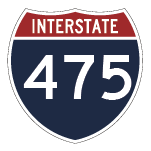 · Through September 2018, the interchange ramp from eastbound I-475 to southbound I-75 is reduced to one lane. Through mid-October, South Expressway Drive is restricted to a single lane between Stickney Avenue and Lagrange Street. Through mid-October, Elm Street and Wersell Avenue at South Expressway Drive, are closed. Through October, northbound Detroit Avenue under I-75 may be reduced to one lane for bridge work. Through mid-October, Berdan Avenue, between Jeep Parkway and Detroit Avenue, will be closed for pavement reconstruction. Detour: Detroit Avenue; Phillips Avenue; Haverhill Drive. Through October, expect lane restrictions on Phillips Avenue at I-75 for bridge work. 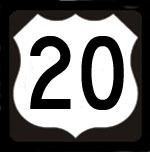 Through July 2018, Pioneer Lane at SR 120/Central Avenue, will be closed. Detour: Willys Parkway; Berdan Avenue; Jeep Parkway; Central Avenue. Through July 2018, lane restrictions are possible on Detroit Avenue at I-75 for bridge work. Through July 2018, expect lane restrictions on Berdan Avenue at I-75 for bridge work. Through July 2018, Willys Parkway from Pioneer Lane to Jeep Parkway is closed. Project complete: September 2018. All work is weather permitting. Lucas County (520-16): Through October, shoulder and single lane restrictions are possible on I-75, between I-280 and Ottawa River Road, for noise wall repair and sign installation. Project complete: October. All work is weather permitting. Lucas County (171-17): Through October, shoulder restrictions are possible on northbound I-75, between I-280 and Ottawa River Road, for slide repair. Additional restrictions may be announced. Project complete: October. All work is weather permitting. Lucas County: Through October, nightly from 9pm until 6am, I-75, between US 20 and Miami Street, may be reduced to one lane for crack sealing. Additionally at this time, intermittent ramp closures are possible. Seek alternate route. All work is weather permitting. Lucas County (1066-17): Effective Friday, October 13 at 6pm, through Monday, October 16 at 6am, southbound I-280, between Manhattan Boulevard and Greenbelt Parkway, will be reduced to one lane for bridge repair. Effective Monday, October 16 at 6am, through Wednesday, October 18, single lane restrictions are possible on southbound I-280, between Manhattan Boulevard and Greenbelt Parkway for bridge repair. The ramp from southbound I-280 to Greenbelt Parkway (Exit 11), will remain open. Project complete: November. All work is weather permitting. Lucas County: The ramp from ProMedica Parkway to eastbound I-475 is open to access southbound I-75 only. Through September 2018, the ramp from ProMedica Parkway to eastbound I-475 to access northbound I-75 is closed. Detour: southbound I-75; Detroit Avenue (Exit 203B); northbound I-75. All work is weather permitting. Lucas County (497-16): Through October, nightly from 9pm until 7am, lane restrictions are possible on I-475, between Monclova Road and Central Avenue, for resurfacing. Additional lane and ramp restrictions may be announced. Project complete: October. All work is weather permitting. 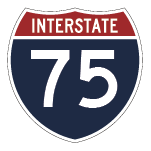 Lucas and Wood Counties: Through December, intermittent overnight lane restrictions are possible on I-75, I-280 and I-475 in Lucas and Wood counties for maintenance work. Project complete: December. All work is weather permitting. Lucas County (210-15): Through October, Central Avenue, between McCord Road and Van Fleet Parkway, may be reduced to one lane for finish work. Through October, lane restrictions are possible on I-475/US 23, between Dorr Street and N. Holland Sylvania Road. Project complete: October. All work is weather permitting. Lucas County (248-17): Through October, shoulder restrictions are possible on northbound US 23, between Holland Sylvania Road and Monroe Street, for finish work. 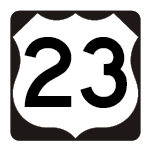 Through October, nightly from 8pm until 6am, shoulder and lane restrictions are possible on northbound US 23, between Holland Sylvania Road and Monroe Street, for finish work. Project complete: October. All work is weather permitting. Lucas County (220-16): Through November, SR 2, between Oak Street and Broadway Street, is reduced to one lane in each direction for bridge painting. Additional local road closures may be announced. Project complete: November. All work is weather permitting. Lucas County (325-17): Through October, lane restrictions are possible on SR 2/Airport Highway, between Holloway Road and I-475, for resurfacing. Project Complete: November. All work is weather permitting. Lucas County (550-16): Through October, lane restrictions are possible on Monroe Street/SR 51 over I-75, for finish work. Project complete: October. All work is weather permitting. Lucas County (289-16): Through October, nightly from 7pm through 6am, lane restrictions are possible on I-475, between Secor Road and Douglas Road, for bridge work. Monroe Street over I-475, is open. Through October, lane restrictions are possible on Monroe Street over I-475, for bridge work. Project complete: June 2018. All work is weather permitting. Lucas County (290-17): Through October, lane restrictions are possible on SR 64, between US 24 and SR 64 North, for resurfacing. Traffic will be maintained by flaggers. Project complete: November. All work is weather permitting. Wood and Lucas Counties (419-17): Through October, lane restrictions are possible on eastbound SR 65/Miami Street at Hollywood Boulevard, for intersection work. Additional restrictions will be announced. Project complete: November. All work is weather permitting. Lucas County: (325-17): Through October, lane restrictions are possible on SR 120, between Holland Sylvania Road and Secor Road. Project complete: December. All work is weather permitting. Lucas County (622-16): Through October, lane restrictions are possible on SR 295, between South River Road and SR 64, for finish work. Traffic will be maintained by flaggers. Project complete: November. All work is weather permitting. 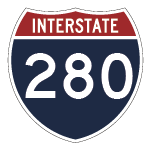 Wood and Lucas Counties (8004-17): Lane restrictions on SR 295, between South River Road and Front Street over the Maumee River have been lifted. Lucas County (8010-17): Through May 2019, nightly from 7pm until 6am, lane restrictions are possible on I-75, between Dorr Street and Nebraska Avenue, for bridge replacement. Additionally at this time, the ramp from southbound I-75 to Washington Street/Downtown (Exit 202A), will be reduced to one lane for bridge replacement. Through July 2018, Indiana Avenue, between Division Street and Washington Street, over I-75, will be reduced to one lane for bridge replacement. Local and pedestrian access will be maintained. Project complete: June 2019. All work is weather permitting. Lucas County (289-16): Bowen road, between Groveland Road and Langenderfer Drive, is open. Project complete: June 2018. All work is weather permitting. Lucas County (289-16): Effective Monday, October 9 through October, Rushland Avenue, between Groveland Road and Langenderfer Drive, will be closed for bridge painting. Detour: Groveland Road; Bowen Road. Project complete: June 2018. All work is weather permitting. District Wide (1076-16 & 1069-16 & 1065-16): Through December, intermittent lane restrictions are possible district wide for guardrail, striping and electrical maintenance. Project complete: December. All work is weather permitting.